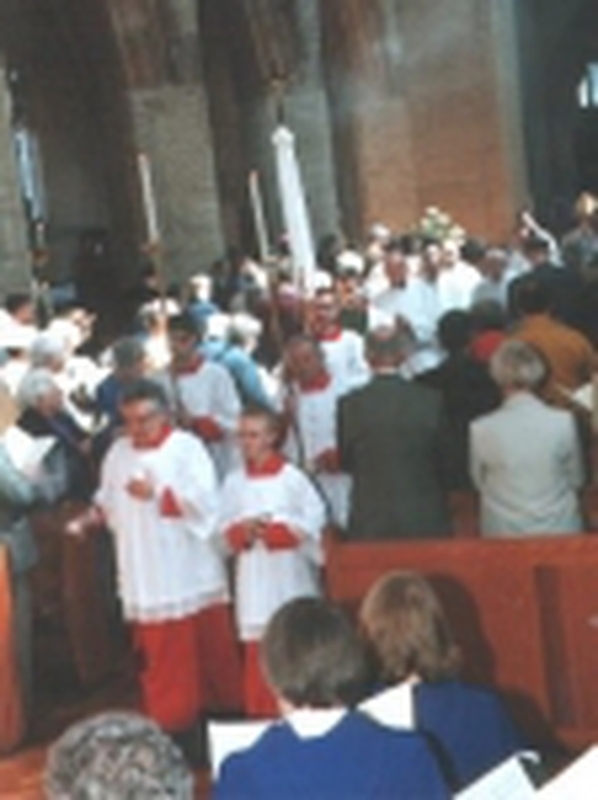 An "all-age" worshipping community drawn from the parish, the Diocese and beyond. This reflects a wide social spectrum. St Agatha's is nationally famous for it's long and venerable Anglo-Catholic tradition; that section of Anglicanism which draws on its Catholic roots and looks for its identity in Catholic faith and worship. St Agatha's in particular continues to witness to this orthodox faith in Birmingham Diocese and nationally. Firstly they are spiritual "power-houses", praying constantly and offering the sacrifice of the Mass for the whole population and for members of our congregation. St Agatha's is a vibrant Christian presence in a predominantly Muslim community, as is the church building. St Agatha's also stands as un undeniable witness to the many thousands who daily pass in and out of the city.